TIRED OF REPLACING CURB SECTIONS AND POSTS? Dura-Curb™ from JTI is the only SEVERE USE raised separator system. Ordinary raised separator systems are made of rigid plastic and often break when impacted – leaving debris on the roadway and interrupting channelization and motorist safety. Your crews end up replacing curb sections and delineator posts again and again. Dura-Curb is different. It’s made of one of the toughest and most resilient plastics on Earth, HMW-HDPE. When impacted the curb section absorbs impact energy and restores to its original shape without shattering. 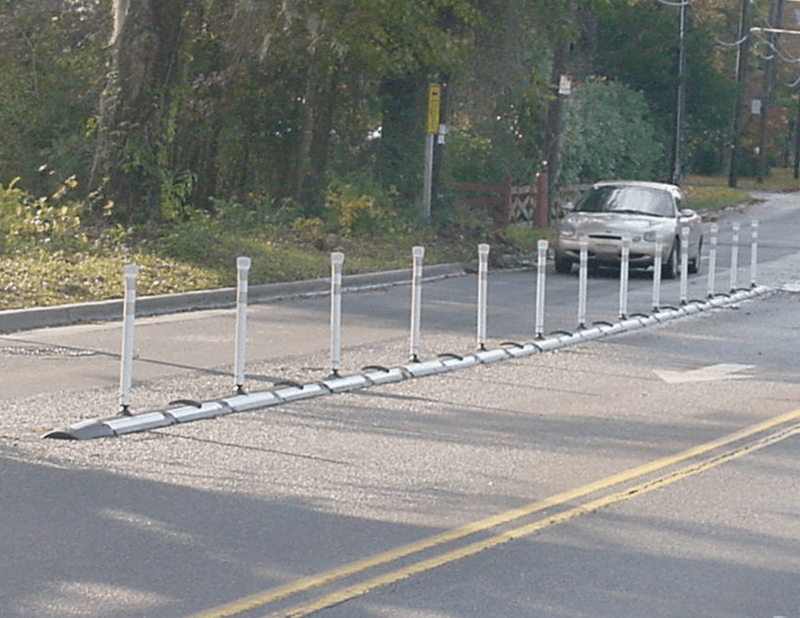 Dura-Curb’s delineator posts are also extremely durable and can withstand repeated impacts. Dura-Curb is designed for SEVERE USE sites and meets NCHRP 350. It has the lowest lifecycle cost and saves time and money with every impact!